"Deadpool is coming for you"
Earlier this year test footage for Deadpool was leaked onto the internet and it was met with enthusiasm by fans. 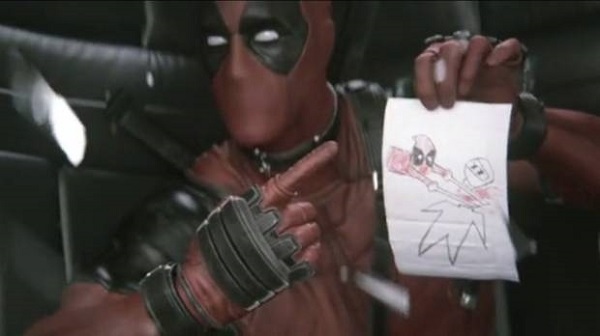 Someone at 20th Century Fox must have been paying attention because The Hollywood Reporter have reported the studio are moving ahead with a Deadpool movie, pencilling a February 12, 2016 release date. Ryan Reynolds played Deadpool in the critically reviled X-Men Origins: Wolverine, though Reynolds himself was praised for his scene stealing role. He also played the mo-cap version of the character in the leaked test footage and is likely to respite his role. Special Effects expect Tim Miller is set to make his directional debut with Deadpool. Let's hope its R-rated. Fox have also announced that the release of the Assassin's Creed movie will be delayed from a August 7, 2015 to a 2016 release date and Josh Trank's Fantastic Four will fill the August 7 release date. The adaptation of John Green's Paper Towns has been moved to Fantastic Four's old release date of June 19, 2015.